Crows will deliver their long-awaited debut album "Silver Tongues" on March 22nd. 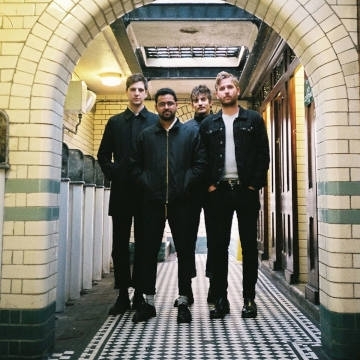 The album's thrilling first single "Chain Of Being", is a real statement: a widescreen slice of post-punk that combines heaviness and brooding melody in equal measures. "Silver Tongues" is a huge step forward for the band, not only musically, but emotionally. A touring band who have been through so much already, this album rightly took time: now, both Crows and the listener can reap the rewards for their patience.